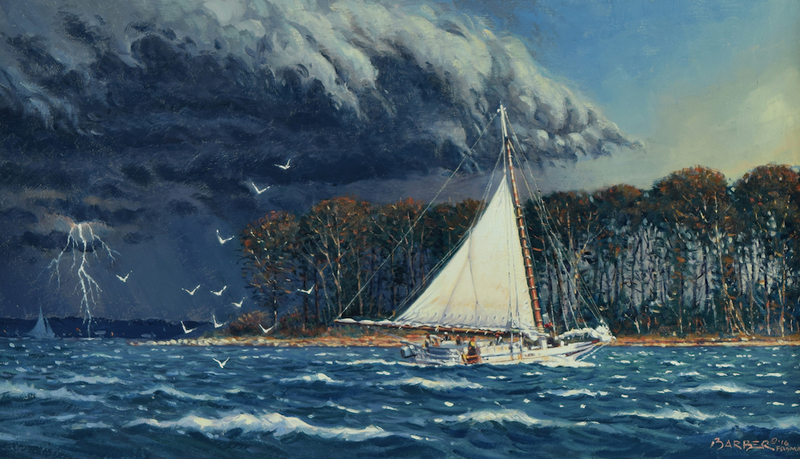 Those who spend time on the water fear most a storm with high winds and lightning. 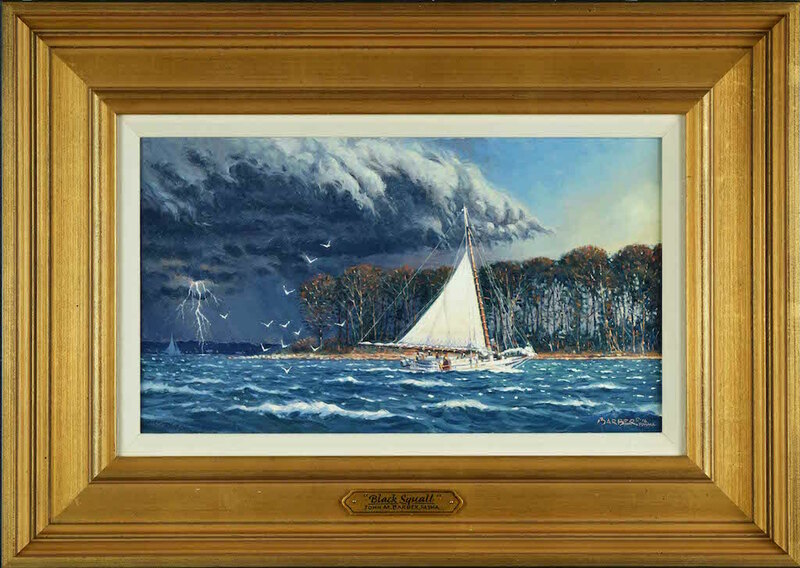 “Black Squall” shows the skipjack Minnie V. attempting to outrun a vicious storm coming down the Choptank River, Talbot Country, Maryland. These wooden, locally built sailing vessels, some over 100 years old, have been dismasted or sunk by such sudden tempests. Its name comes from the dark, rain-filled clouds that accompany such events. The painting’s frame bears a hand-lettered, gold gilt nameplate and is fitted with a House of Troy painting light at no additional cost. It is oil on linen canvas measuring 8″ x 14″ with an overall dimension of 14 1/2″ x 20 1/2″ Price: $3,500 SOLD.